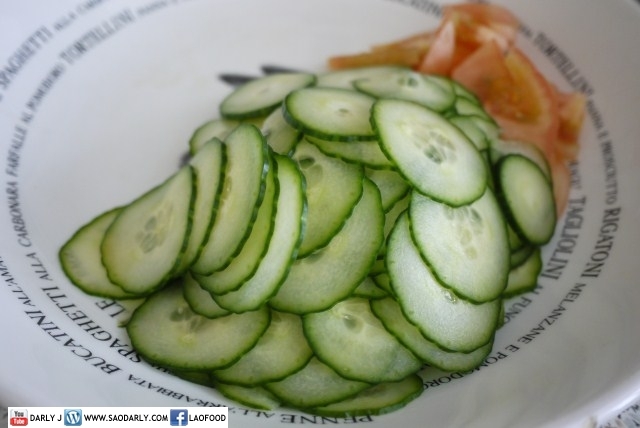 Holland Cucumber was on sale at the local market last week. 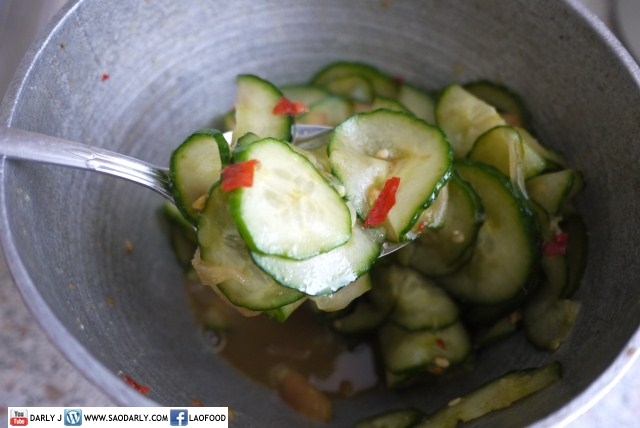 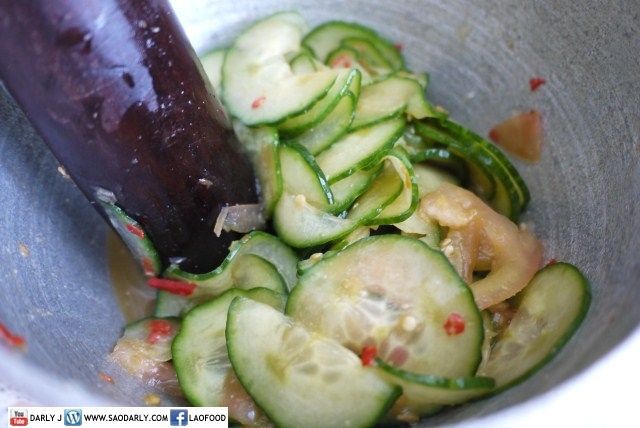 I bought a couple of them and made Tam Maak Taeng (Lao Spicy Cucumber Salad) for an afternoon snack on Sunday. 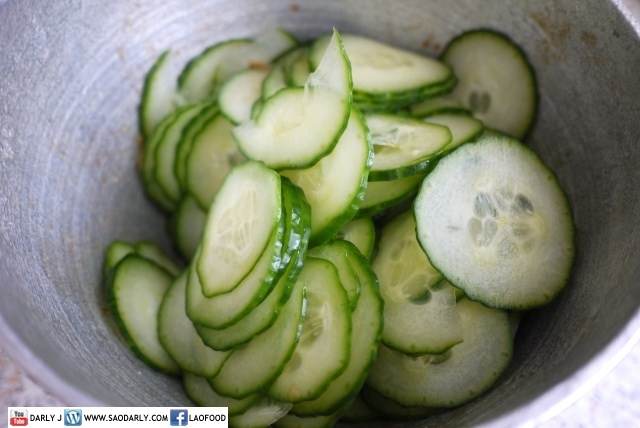 Rather than shredding the cucumber into long thing strips like I normally do, I sliced it into thin pieces for the salad. 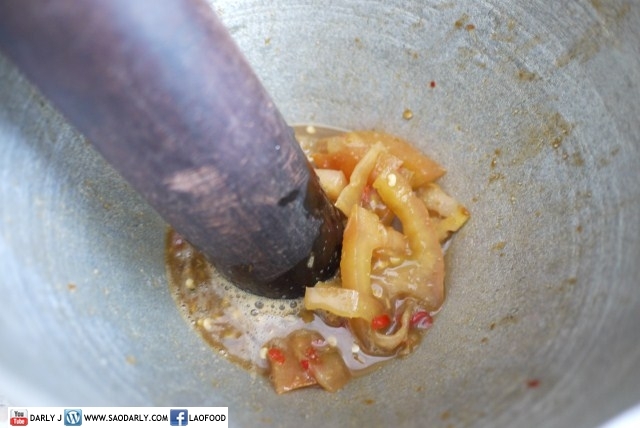 During the winter months I like to eat plenty of spicy food to warm me up. 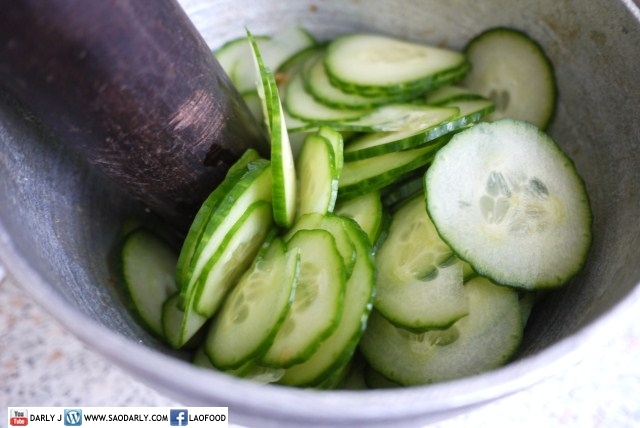 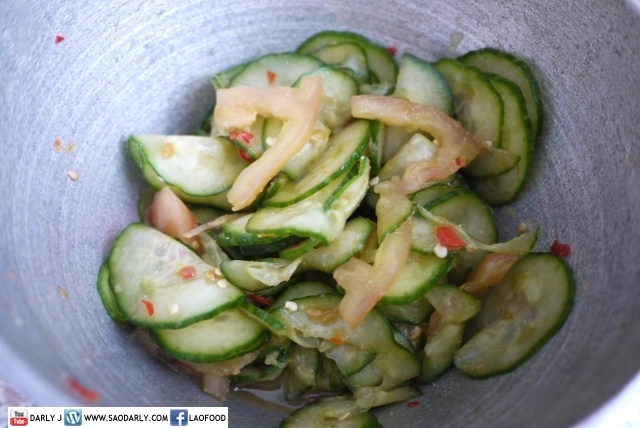 The spicy cucumber salad was a nice and refreshing afternoon snack on a cold winter day.